Well what do you know, today is the first day of Fall. My how the summer flew past us. I didn’t hit the beach not once (sad face). But now that cooler days are here, comes the chance to bring out some Fall transition pieces. 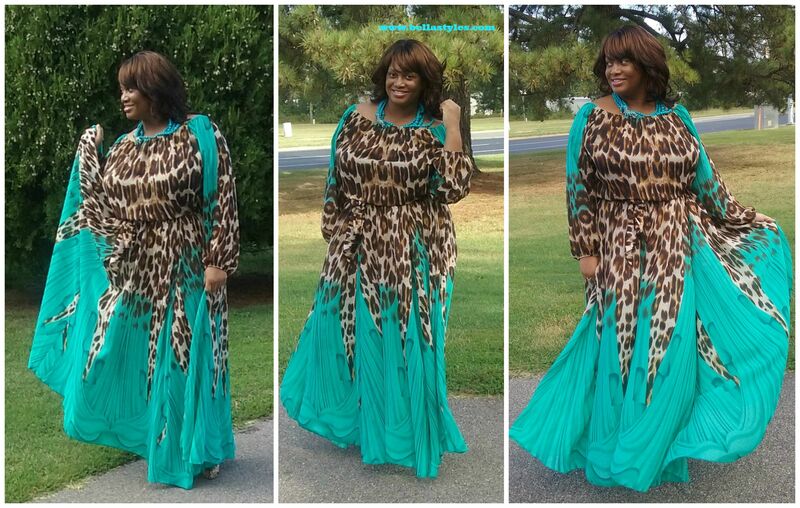 So to break in the new season, I’m wearing the chiffon turquoise cheetah maxi gown ($135) from Chic and Curvy Boutique. Being that I’m gonna celebrate my Birthday all week, I figured why not wear my most fabulous pieces all in a row. 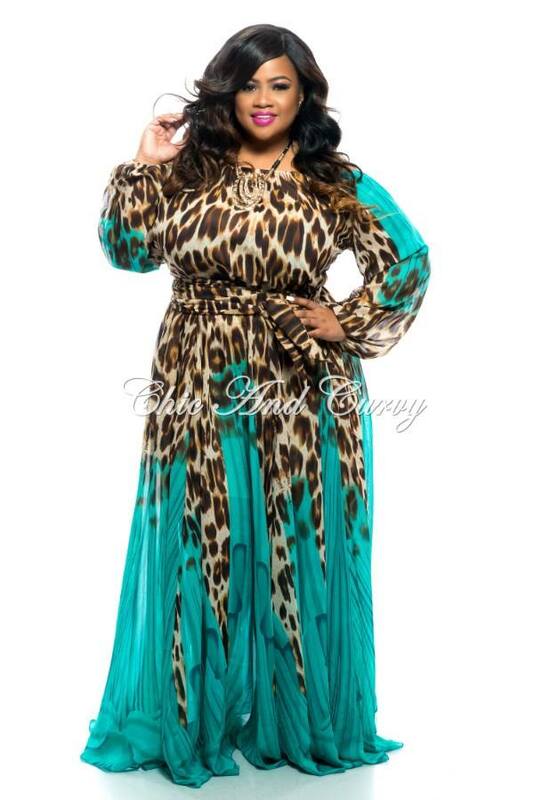 Even though the dress is sheer, it’s made with a lining from the waist to knee area so no worries about your ‘goodies’ showing through. 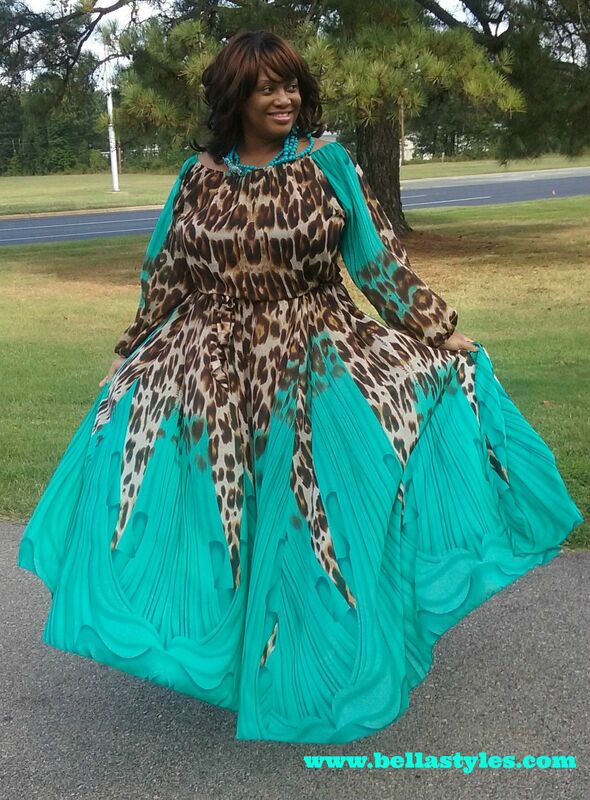 The print of the gown is so overpowering that you really almost don’t need jewelry at all but since I happened to have a matching turquoise necklace in my stash I added that and cheetah pumps to match the animal print of the dress. Style-note: If you really want to up the ante, swap out the included sash tie belt for a black or brown wide belt and you can also wear the gown off the shoulders for a dramatic appeal.